Veteran Long Island, New York-based poker player Micah Raskin was arrested on Tuesday in what Nassau County (NY) authorities described as one of the largest marijuana-related seizures in the county’s history. Raids on Raskin’s Long Island home and a nearby storage unit resulted in the seizure of more than 358 pounds of marijuana, hash oils containing concentrated doses of THC, drug paraphernalia and packaging materials. Also seized, per an Office of the Nassau County District Attorney statement: A loaded shotgun, a Taser, and paperwork documenting payments and prices for the drug products. Other items seized include a 2016 Land Rover Range Rover, a 2016 Chevrolet Corvette, $140,000 in monetary funds and high-end artwork believed to be worth more than $100,000. The 358-pounds plus of marijuana were valued at more than $500,000, while the hash oils containing the THC were valued at $170,000 to $340,000. Criminal Possession of a Weapon in the Fourth Degree (an A misdemeanor). Bail was set at $225,000 bond or $150,000 cash. 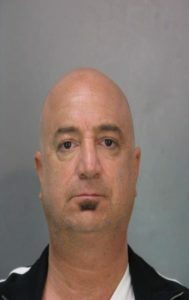 The arrest and whatever other legal events will follow are likely create a significant hiatus in Raskin’s poker career. Raskin has amassed over $1.94 million in career poker tournament winnings, putting him in the top 800 of all time tournament winnings leaders. Raskin’s single highest tourney score was for $ 320,231 for winning a Borgata Deep Stack event back in 2009. Raskin has also climbed as high as #9 on the Global Poker Index’s flowing ranking scale of players. His first recorded tourney cash occurred in 2007. Raskin’s alleged marijuana dealings aren’t likely to hurt his personal image too, too much within the poker world, general acceptance of pot in gambling circles being what it is. However, the industrial-scale dealing simply won’t fly in the legal sense. Given the large quantities, the shipping records stretching several years and so on, authorities likely have the proverbial massive chip lead in this heads-up battle. The entire scenario as described also raises the likelihood that Raskin’s poker career has been in large part funded by his pot-dealing enterprise, at least in the past few years. 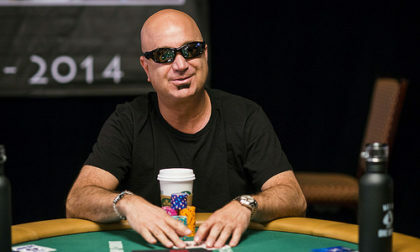 Raskin’s arrest isn’t the highest such involving alleged drug dealing by a high-flying poker pro. Back in 2011, Australian poker pro David Saab was sentenced to 14 years in prison after he and his associates were caught smuggling over 14 kilos of cocaine into Australia. Saab was the former winner of the 2008 Asian Poker Tour Main Event, but it’s hard to win poker tourneys from inside a prison cell; his last tourney score was in 2010. And of course, as poker lore goes, it’s hard to beat the tale of Texas drug kingpin Jimmy Chagra, who lost millions of dollars of illicit drug money in the highest-stakes poker games Vegas could offer in the ’70s. Chagra lost millions to players such as “Amarillo Slim” Preston, Doyle Brunson, Jack Straus, Chip Reese, Puggy Pearson, and Johnny Moss. But in the process, Chagra effectively laundered tens of millions of dollars more through games in which as much as $2 million sat on the table at any given moment. Micah Raskin isn’t likely to rise to that level of notoriety, even if he does spend a stretch of time behind bars. It’s another example of how poker continues to lure all sorts of high-living types to the tables, and sometimes that high living comes crashing down as well.